Just some days ago, a new Huawei smartphone with the product name Huawei RNE-AL00 was certified by Chinese certification site TENAA, with some of its specifications revealed by the listing on the site. Now, the company has sent out invites for an event where the smartphone will be announced in form of the Huawei Maimang 6. The Huawei Maimang 6 will succeed last year’s iteration of the series, the Maimang 5, and its press shots have been released by popular leakster @evleaks. 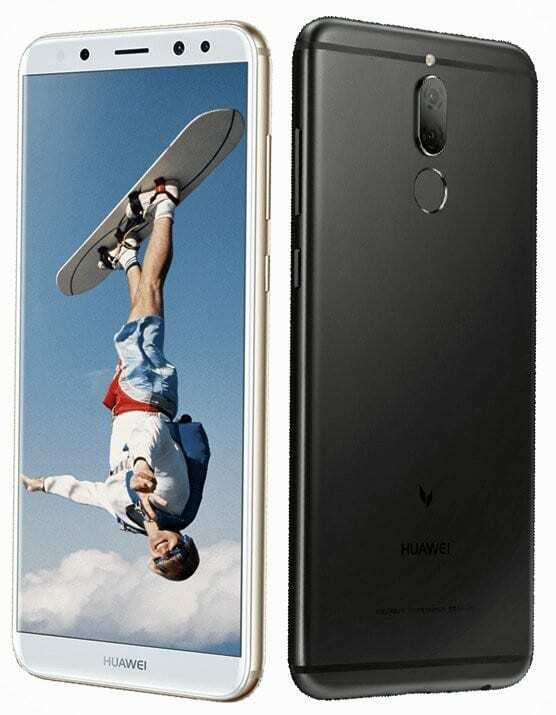 The Huawei Maimang 6 follows the design pattern of most smartphones being launched these days, sporting very slim bezels on both sides and even considerably small bezels on the top and bottom. It comes with a 5.99-inch display that has a Full HD+ (2160 * 1080) pixel resolution, 18:9 aspect ratio and is covered with 2.5D curved glass. The smartphone weighs 164 grammes and is just 7.5 millimetres thick. It uses on-screen navigation buttons and lacks a physical home button. Its power button and volume rockers are located on its right side, and its SIM/microSD card tray is on the other side. The Maimang 6 packs 4GB of RAM and 64GB of internal storage that can be expanded up to 256GB using an external microSD card. It is powered by an octa-core Kirin 659 processor with a maximum speed of 2.36GHz and a Mali T380-MP2 GPU which handles its graphics operations. The smartphone comes with interesting camera specifications and something you rarely find on smartphones; dual cameras on both sides. The rear comes with a 16MP + 2MP dual camera setup with an accompanying LED flash to provide visibility in low-light conditions. It also has a 13MP + 2MP dual camera setup at the front, allowing you to capture superb selfies. The Huawei Maimang 6 packs a 3240mAh battery that can last up to 24 hours on average use. It comes with hybrid dual Nano SIM slots and supports 4G LTE network connectivity. The smartphone also offers other common connectivity options like Wi-Fi 802.11 b/g/n, Bluetooth 4.2, and GPS with GLONASS. The Huawei Maimang 6 runs on Android 7.0 Nougat out of the box with an yet-to-be-known version of EMUI, Huawei’s custom user interface for its Android smartphones layered on top. It features a fingerprint sensor placed on its rear panel. According to the invites sent out by the company, the Huawei Maimang 6 will be announced at 2PM in China on the 22nd of September and will come in Black and Blue colours. Then, the price as well as when the smartphone will be available will be made known.